Wapiti Valley, Buffalo Bill Cody Scenic Byway. The Buffalo Bill Cody Scenic Byway is located between Cody Wyoming and the East Entrance of Yellowstone National Park near Sylvan Pass. 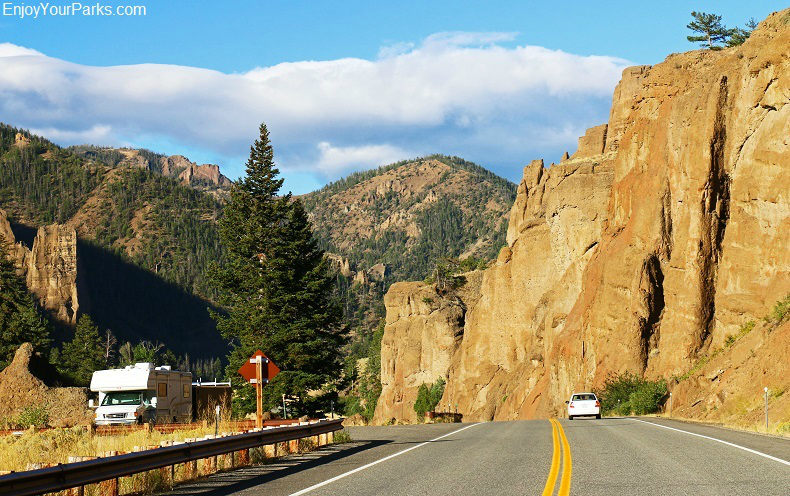 The Buffalo Bill Cody Scenic Drive is a 50 mile paved highway that is an extremely scenic drive as it follows the North Fork of the Shoshone River through the amazing Wapiti Valley and the mighty Absaroka Mountain Range. 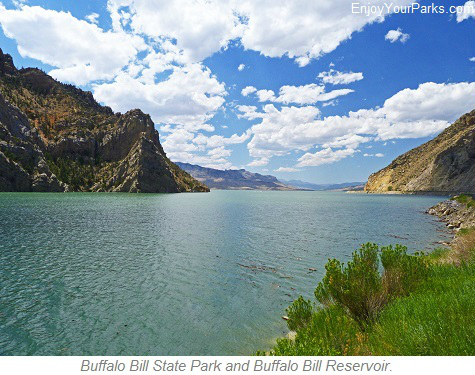 This incredible byway also includes attractions such as the historic Buffalo Bill Dam and Reservoir, Buffalo Bill State Park, and many others that make the Buffalo Bill Cody Scenic ByWay one of the most popular byways in Wyoming. 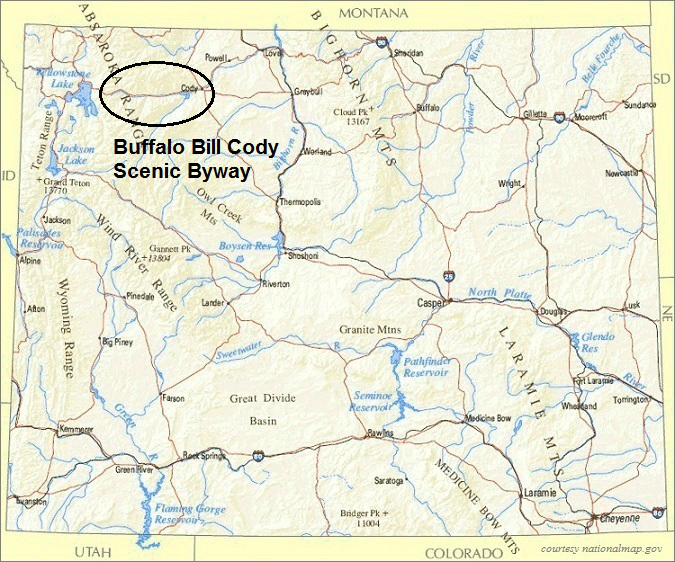 Wyoming Highways 14, 16 and 20 make up the Buffalo Bill Scenic Byway, and this one of the main routes used by visitors heading for Yellowstone National Park. Teddy Roosevelt once said that the Buffalo Bill Cody Scenic Byway was "The most scenic 50 miles in the world." It All Starts At Cody Wyoming! 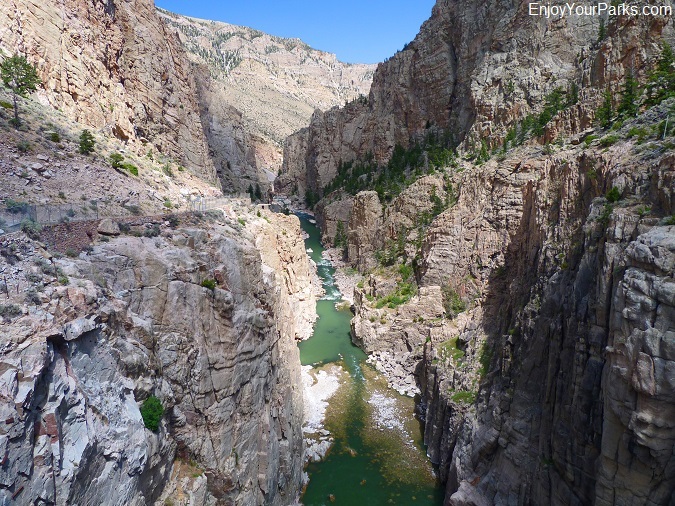 The Buffalo Bill Cody Scenic Byway begins at one of the greatest Western towns in the nation, and that is the one and only Cody Wyoming. Cody Wyoming was founded by Buffalo Bill Cody, and throughout the town of Cody you'll see his legacy... including the Historic Irma Hotel, which Buffalo Bill Cody built and named after his daughter, and the Buffalo Bill Center of the West, which is one of the great museums of the nation. An entire building of this world-class museum complex is devoted to sharing with visitors the remarkable history of this incredible man, and we strongly recommend that you spend at least a half day exploring this fantastic museum. 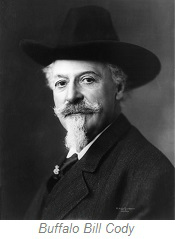 Not only did Buffalo Bill Cody develop the Cody Area, but he also brought the Wild West to the world with his "Buffalo Bill's Wild West Show". This world-famous show captured the hearts and souls of people as he unfolded the glamour, excitement and mystique of the Great American West, and was a world-wide sensation during the late 1800s and early 1900s. Buffalo Bill Cody single-handedly made the Great American West an international sensation, and that sensation is still alive and well today. And as far as the town of Cody Wyoming is concerned, it is truly one of the best "Classic Western Towns" in America, and is known as "The Rodeo Capitol of the World". There is the fabled Cody Nite Rodeo that occurs nightly in Cody Wyoming, as well as the annual Buffalo Bill Cody Stampede, which is a world-renowned outdoor rodeo where the best cowboys and cowgirls around the country compete for a huge purse. And downtown Cody is a wonderful place to shop, eat, and watch a Old West Gunfight from the porch of the Historic Irma Hotel. 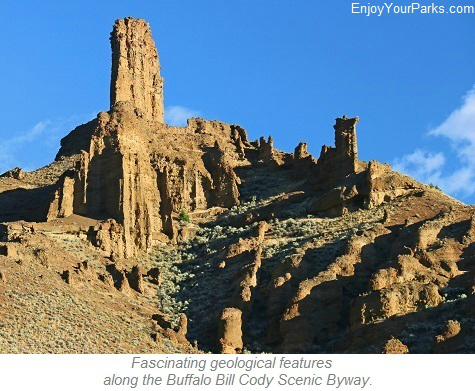 Buffalo Bill Cody is a true legend and a national treasure, so it only seems fitting to name the Buffalo Bill Scenic Byway after such a great man and after such an important figure in the unfolding of the Great American West. 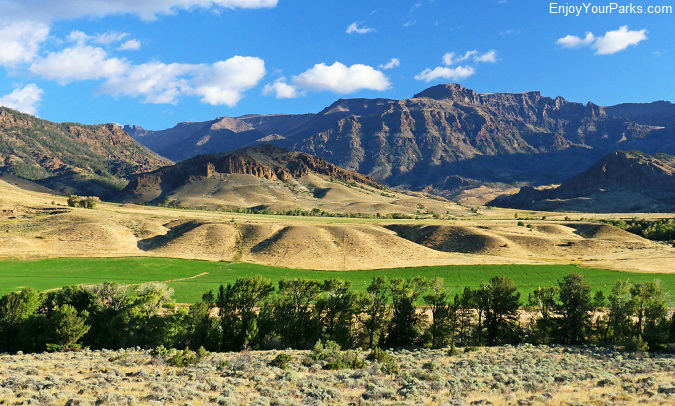 Click Here for more info on Cody Wyoming. 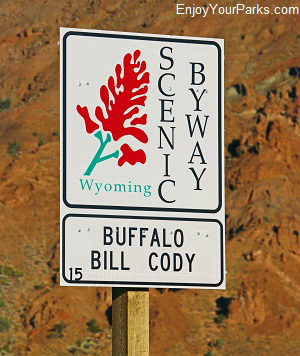 Buffalo Bill Cody Scenic Byway in Wyoming. 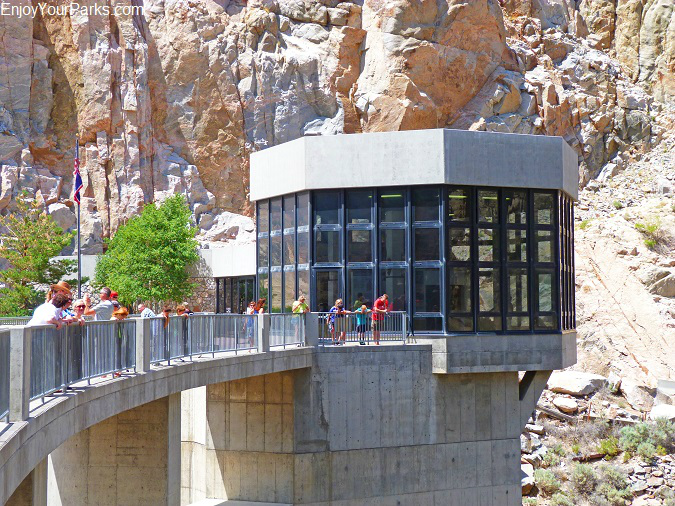 Only about 6 miles west of Cody Wyoming along the Buffalo Bill Cody Scenic Byway, visitors can enjoy a wonderful visitor center on top of the historic Buffalo Bill Cody Dam. 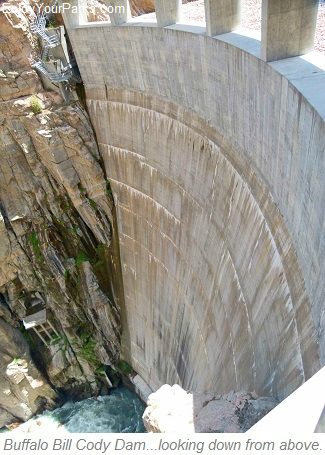 This amazing dam is known as a "concrete gravity arch", and is 350 feet high and 200 feet across. This magnificent structure was built in 1910 and at the time was the tallest dam in the world. The Buffalo Bill Dam was also one of the earliest dams built by the Bureau of Reclamation. 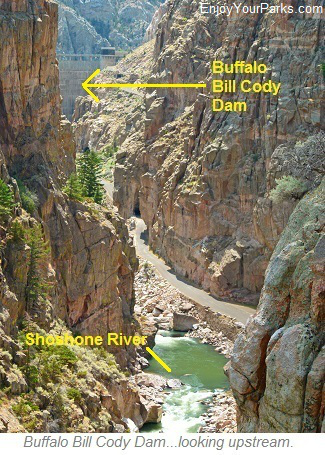 The Buffalo Bill Dam is located on the Shoshone River, and creates the Buffalo Bill Reservoir. 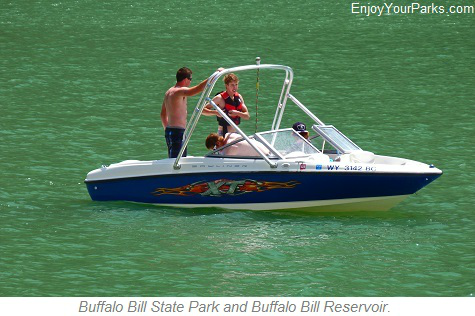 This large reservoir is not only used for irrigation, electricity generation and flood control, but Buffalo Bill Reservoir is extremely popular for all types of water sports, fishing and camping. Buffalo Bill Dam along the Buffalo Bill Cody Scenic Byway. 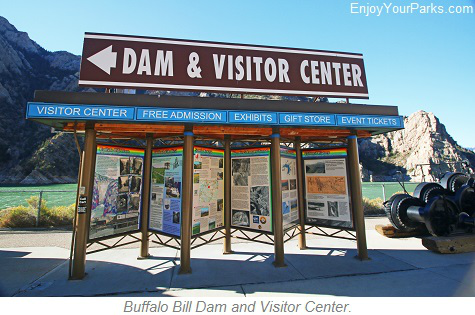 The Buffalo Bill Dam Visitor Center truly is a "must see" while driving along the Buffalo Bill Cody Scenic Byway. This impressive and informative visitor sits on the top of the dam, and provides not only outstanding interpretive displays, but also provides incredible views from the top of this historic dam. 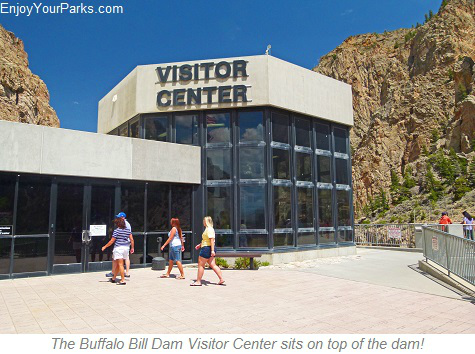 The Buffalo Bill Dam Visitor Center is free of charge, and very much worthwhile exploring during your Wyoming vacation. 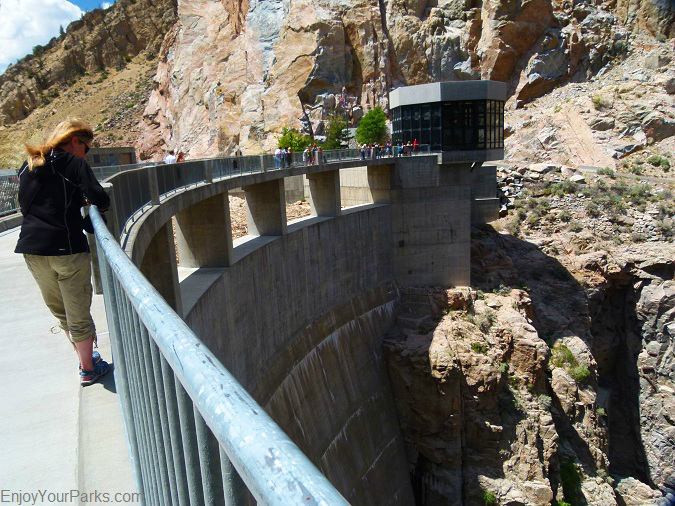 Visitors looking over the top of the dam near the Visitor Center, 350 feet above the Shoshone River. This is a view of the Shoshone River from the top of Buffalo Bill Dam. Surrounding the Buffalo Bill Reservoir, which is created by Buffalo Bill Dam, is Buffalo Bill State Park. This popular state park and reservoir is a mecca for nearly all types of water sports, including outstanding fishing opportunities. There are very nice campgrounds found throughout Buffalo Bill State Park with 97 total sites available...including 85 pull thru sites. Buffalo Bill State Park is definitely one of the major attractions found along the Buffalo Bill Cody Scenic Byway, and is a very enjoyable park to spend time at. Buffalo Bill Reservoir and Buffalo Bill State Park along the Buffalo Bill Cody Scenic Byway. campsites have grills and tables, and there are water hydrants and restrooms found throughout the campground. Parking areas and roads are paved. The North Fork Campground has 62 sites with 56 pull-throughs and 6 tent sites. 14 of the RV sites can be reserved, the rest of the sites are on a first come, first serve basis. All campsites have tables and grills, and throughout the campground are water hydrants and restrooms. Roads and parking areas are paved. 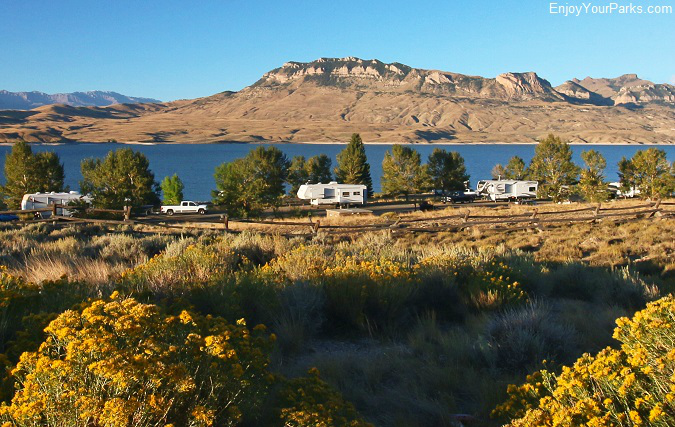 Located inside the North Fork Campground, the Trout Creek Group Camping Area has a large shelter with a grill and tables, tent area and a large parking area for a group of trailers, vehicles and RVs. This Group Camping Area is on a reservation system only. The Sheep Mountain Day Use Area has a large shelter with several tables and a grill. There is also a playground area and a large parking area. The Sheep Mountain Day Use Area can be reserved. The Shreve Lodge is open from mid-May through mid-September, and is a day use group facility. 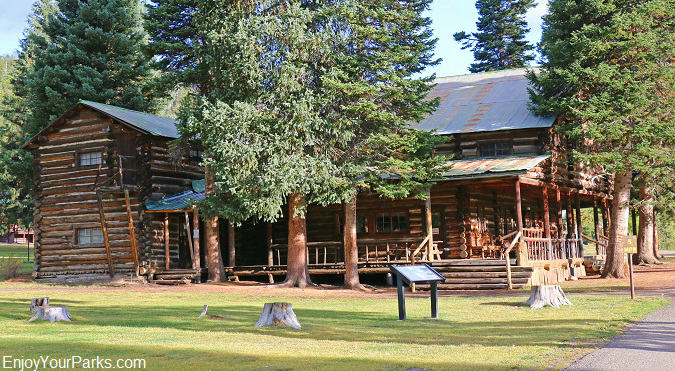 The Shreve Lodge is a western-style log structure, and has a spacious great room, fireplace, kitchen. This facility can accommodate up to 150 people, and is on a reservation system only. The Eagle Point Trail is the first phase of the new trail system that is planned for the north shore of Buffalo Bill Reservoir within Buffalo Bill State Park. The new Eagle Point Trail is handicapped accessible. Buffalo Bill State Park along the Buffalo Bill Cody Scenic Byway. The Buffalo Bill Cody Scenic Byway works its way through the beautiful Wapiti Valley as it travels through the Shoshone National Forest (which is America's first National Forest) and the North Fork of the Shoshone River on its way from Cody to the East Entrance to Yellowstone National Park. Along the way, not only will you enjoy jaw-dropping scenery and incredible wildlife, but there are several outstanding and historic dude ranches, motels, campground and restaurants. There are also a seemingly limitless variety of outdoor adventures awaiting its visitors, such as hiking, wildlife viewing, horseback riding, river rafting, photography, mountain biking, hunting and fishing. 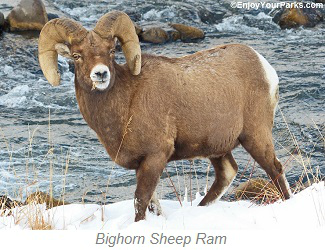 The Buffalo Bill Cody Scenic Byway, as it follows the North Fork of the Shoshone River, is a great place to see wildlife such as Bighorn Sheep and Elk. These animals are frequently seen along the road, especially later in the fall and during the winter months, as a fair number of Bighorn Sheep and Elk winter in the Wapiti Valley. 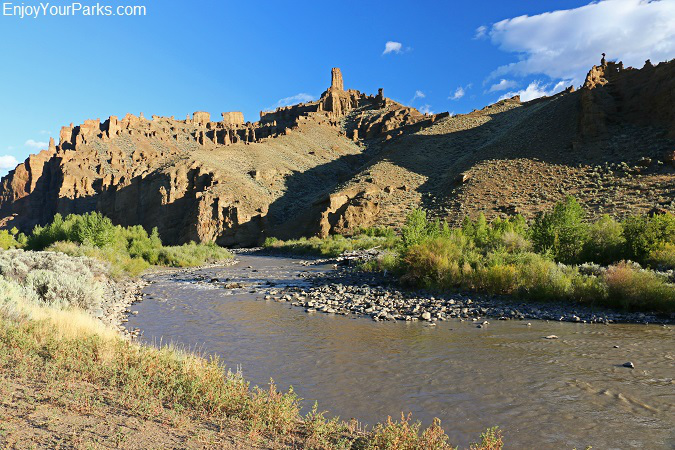 Wapiti Valley and North Fork of the Shoshone River along the Buffalo Bill Cody Scenic Byway. 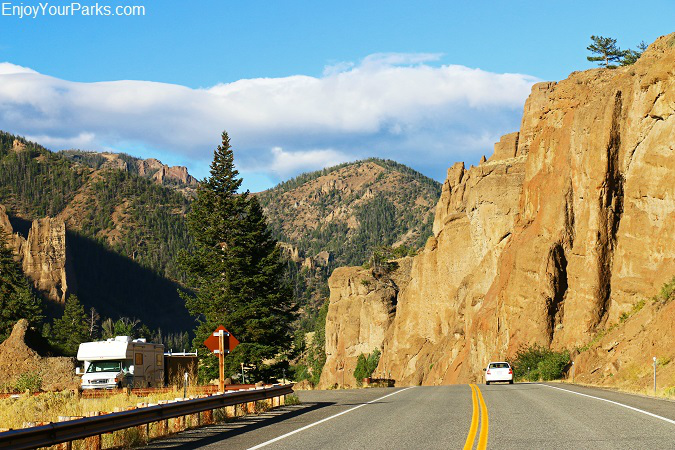 The scenery all along the Buffalo Bill Cody Scenic Byway is fantastic the entire way, with towering mountains of the Absaroka Mountain Range on each side of the Wapiti Canyon as the highway works its way through the Shoshone National Forest. 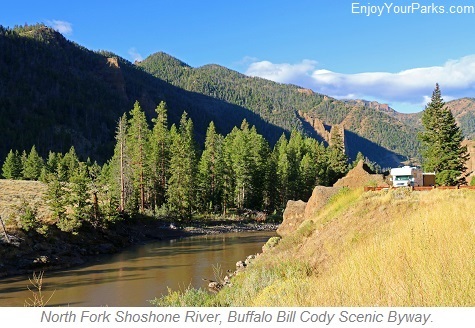 The North Fork of the Shoshone River is a tremendous added bonus as the Buffalo Bill Cody slowly climbs in elevation as it follows the river nearly all the way to the East Entrance of Yellowstone National Park. 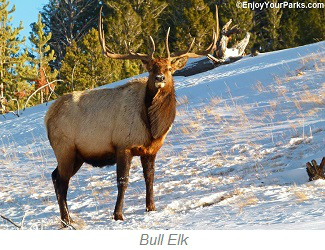 The wildlife found throughout the Wapiti Valley along the Buffalo Bill Cody Scenic Byway is nothing short of remarkable. Grizzly bears, black bears, elk, bighorn sheep, wolves, mule deer, whitetail deer and moose are just a sample of the wildlife visitors often times see along the Buffalo Bill Cody Scenic Byway as it works its way through the Wapiti Valley. Wapiti Valley along the Buffalo Bill Cody Scenic Byway. 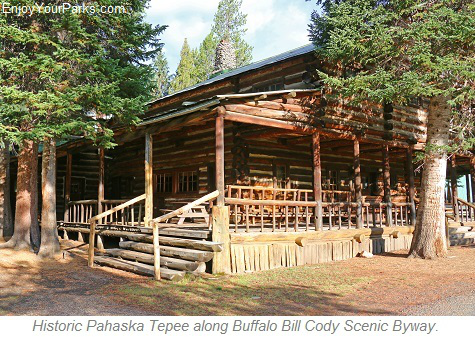 Located just two miles east of the East Entrance of Yellowstone National Park along the Buffalo Bill Cody Scenic Byway, visitors will encounter the Pahaska Tepee, which is Buffalo Bill Cody’s old hunting lodge and hotel. Buffalo Bill built the Pahaska Tepee for visitors traveling up what was known as “The Cody Road” along the North Fork of the Shoshone River on their way to Yellowstone National Park. Built in 1903, with the Grand Opening held on July 5th, 1904, the Pahaska Tepee. The Pahaska Tepee is a two story log building that is listed on the National Register of Historic Places as well as on the List of Registered Historic Places in Wyoming. Presently surrounding the Pahaska Tepee is a resort with a restaurant, cabins, convenience store and gas station. Historic Pahaska Tepee along the Buffalo Bill Cody Scenic Byway. Sylvan Pass is located just several miles west of Pahaska Tepee, and just beyond the East Entrance of Yellowstone National Park. 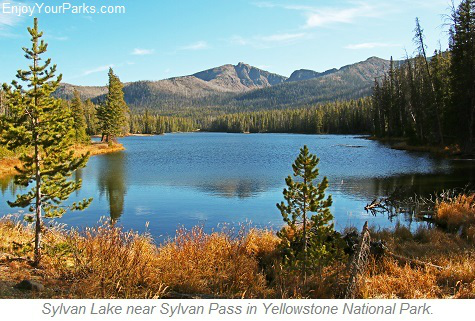 Sylvan Pass is the only route entering Yellowstone National Park from the East. Located on the same road and officially just beyond the Buffalo Bill Cody Scenic Byway, Sylvan Pass is a very scenic area along U.S. Highway 14, and is one of the highlights for visitors traveling on the Buffalo Bill Scenic Byway. At 8,524 feet above sea level, Sylvan Pass gets a ton of snow each winter, and is closed to wheeled vehicles between December and the end of May. Snow mobiles and snow coaches are permitted on Sylvan Pass throughout the Yellowstone Park Winter Season. Avalanches are a tremendous problem along Sylvan Pass, and pain-staking measures are spent on avalanche control each year to prevent harm to Sylvan Pass travelers. Sylvan Lake is located near Sylvan Pass, and is an extremely scenic high altitude lake.